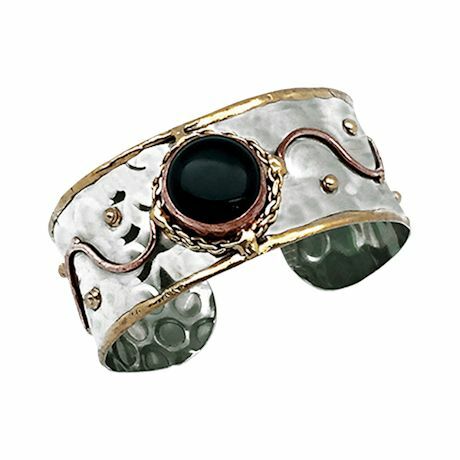 Sizable stones are highlighted by the shining background of these stunning cuffs. 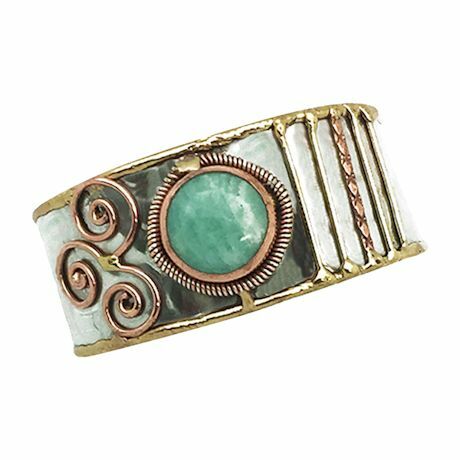 Stainless steel with copper, brass and semiprecious stone accents. Adjustable; fits wrists up to 8".